3 ACTS Entertainment is a Flint based, female owned company. Our goal is to raise awareness for women’s issues and provide support for women’s organizations through innovative, thought provoking, quality entertainment. Studio owners Chris and Lisa Bayer began providing music instruction in 2003. Since opening its doors to the public November 1st, 2006, A Joyful Noise Music Studio has seen a ten-fold increase in enrollment! Now located in the Dibbleville business district and with over 250 music students enrolled, A Joyful Noise Music Studio has become a well-known community presence. A Joyful Noise Music Studio is proud to: Host student performances, provided free of charge, at area churches, nursing homes, and schools. Showcase local talent through entertaining public performances. Support school and community music programs by offering local students and musicians the supplies they need at prices they can afford. Animal Rescue Shelter which provides low cost spay and neuter for cats and dogs. They also provide (TNR) Trap- Neuter-Return for feral kitties.Volunteers are needed and welcome!!! Open 10am – 3pm Tues thru Sat. also 1 – 4pm on Sun. Closed Mon. Volunteers provide animal care, enrichment and socialization which includes reading for an animal audiance, taking walks, playtime, and more, as well as some duty cleaning. If you love animals give us a call!!! Volunteers need to be at least 8 years old with a responsible adult. 16 to 20 with a valid drivers license. 21 and up need a valid state ID or drivers license. Afojabe Afrikan Village began in 1999. While repairing drums in the backyard of their home, Elliott McCants began to play the drums and Yaisha McCants began to dance. Neighborhood Children began to cluster around them, imitating the movements and asking to learn more. What started off as an impromptu class became a class series as the children returned day after day to learn more. The couple quickly realized that there was an interest among these children and began developing an organization that would teach African heritage and culture as well as life skills to the community. Afojabe is a Yoruba word that means "King Maker". The Afojabe Afrikan Village is a non-profit 501©3, organization dedicated to making Kings and Queens by teaching them about their rich cultural heritage. We offer all talented minds the opportunity to explore and enhance their inner talents through creative thinking and cultural arts. We provide practical and technical hands on training in life skills as well as cultural arts through field trips, cultural classes and much more. We offer a fun educational program that will give participants the necessary tools they need to be better able to compete in today’s ever changing and diverse society. In our program we provide ways to develop new creative skills that have a positive effect on how they interact and communicate with each other, their families and the community. Our goal is to help people tap into and cultivate the gifts that are in them. To build self-esteem, give direction, a sense of pride and hope to our future generations. We area available for performances, workshops, lectures, school programs, and more. We teach traditional African Drum & Dance to students in the Flint area. We do performances to showcase what the students have learned. We teach Swahili to the students. Excellent mentor program to build students self esteem and teach them their African heritage. The American Heart Association is the nation’s oldest, largest voluntary organization devoted to fighting cardiovascular diseases and stroke. Founded by six cardiologists in 1924, our organization now includes more than 22.5 million volunteers and supporters working tirelessly to eliminate these diseases. We fund innovative research, fight for stronger public health policies and provide lifesaving tools and information to save and improve lives. Our nationwide organization includes 144 local offices and nearly 2,700 employees. We moved our national headquarters from New York to Dallas in 1975 to be more centrally located. The American Stroke Association was created as a division in 1997 to bring together the organization’s stroke-related activities. Our Mission: Building healthier lives, free of cardiovascular diseases and stroke. Our mission drives everything we do. What We Do: To improve the lives of all Americans, we provide public health education in a variety of ways. We’re the nation’s leader in CPR education training. We help people understand the importance of healthy lifestyle choices. We provide science-based treatment guidelines to healthcare professionals to help ensure the best treatment for every patient, every time. We educate lawmakers, policy makers and the public as we advocate for changes to protect and improve the health of our communities. Anderson Bourque is available for regional engagements to perform instrumental guitar arraignments of selections ranging from smooth jazz standards. The key word to describe the style of the arrangements is "Smooth". Applied Awareness™ is about learning to pay attention to yourself. Once you're paying attention you can begin to understand why you do the things you do. From there you can make changes and make progress towards your goals. 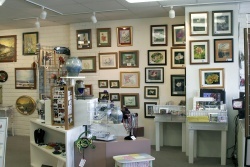 Non-profit art gallery located upstairs at the Flint Farmers Market. We have over 30 local artists showing original art work. Artistic Visions Enterprise is a multi-media company. We specialized in graphic arts, photography, media exposure, educational programs and philanthropy. The Aspiring Writers Association of America (AWAOA)offers workshops, conferences, critique services and awards for aspiring writers in the genre of non-fiction, fiction, poetry and drama. The Autism Support & Resource Center is a charitable 501c3 organization providing support, assistance and advocacy for area families of individuals living with Autism. Our work is dedicated to creating a better future for area individuals with autism. MISSION: To enhance the quality of life and provide support and empowerment to families and individuals with autism through all phases of life. The Autism Support Group of Genesee County is a charitable 501c3 organization, providing support, ,education, advocacy and activities for Genesee County area families of children with autism. Our long-term goal is the development of a farm-based residential community for adults with autism. The largest private college in Michigan, Baker College is accredited by The Higher Learning Commission and is a member of the North Central Association of Colleges and Schools. It is a non-profit higher education institution, serving more than 43,000 students on 12 campuses and in four satellite locations. Baker grants certificates and associate’s, bachelor’s and master’s degrees in business, health sciences, education and human services, and various technical fields, as well as a doctorate of business administration. As a career college, the Baker College system is pleased to report that 97 percent of its available graduates are employed. For more information about Baker College, please check out our website at www.baker.edu. This service is funded in part by the Genesee County Arts Education and Cultural Enrichment Millage funds. Your tax dollars are at work! 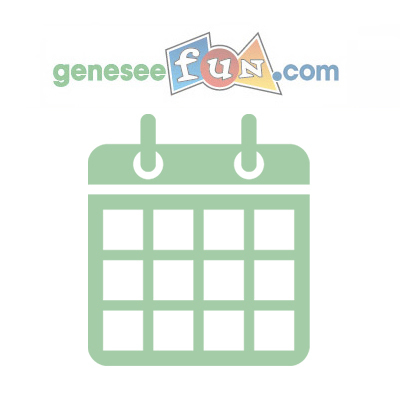 GeneseeFun.com is a comprehensive online resource for Arts, Culture, Entertainment, Events, Sports and Recreation. 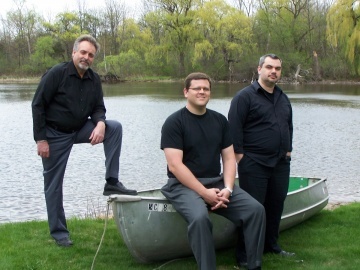 So come and have fun in Genesee County! © 2019 - Greater Flint Arts Council - All Right Reserved.